This was going to be the trip where the bike rolled over 80,000 miles. I had thought I might’ve made it on the Easter ride, but I was about 20 miles short and didn’t want to just ride the bike to pound out those 20 miles. 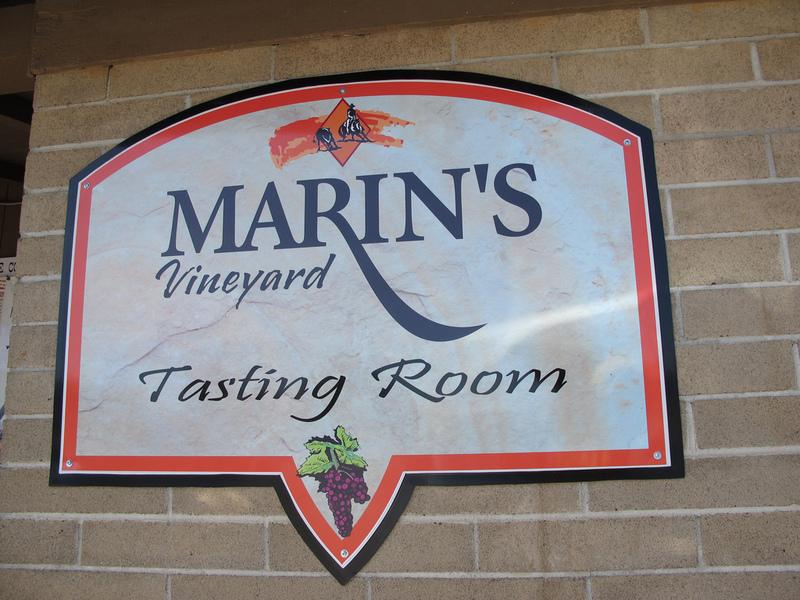 This trip was almost going to be a carbon copy of the last trip down to Paso Robles, but my plan was to leave a bit earlier. As fate would have it though, I left even later. I didn’t get on the road until 4 PM. When I was looking over the bike I realized that the left the bar end was missing. How? I have no idea. On top of that the brake fluid in the front reservoir appeared low. I had installed new handlebars so both items were likely due to the installation. 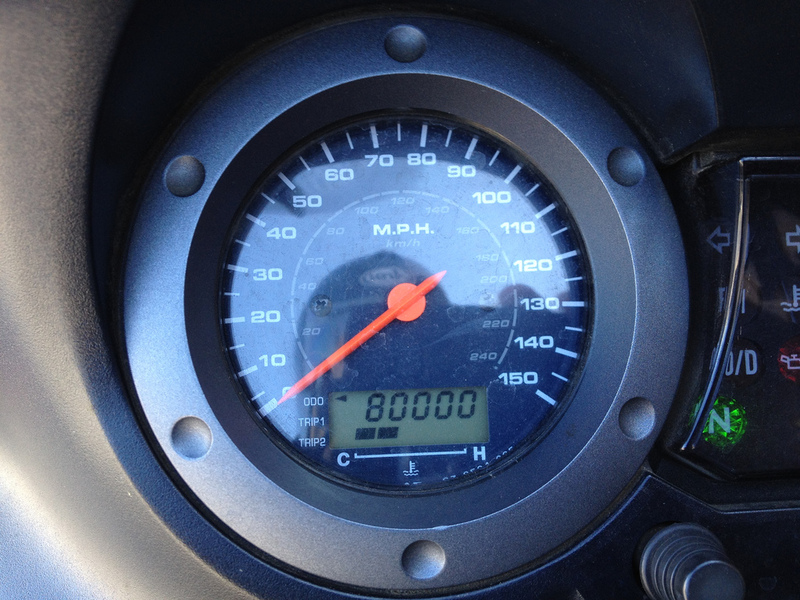 Once on the road, I had my 80,000 miles. I was only just miles from home though. I had thought I would be in this grand destination but alas, I was on the downtown freeway in a not so great portion of town. I took a quick photo to mark the accomplishment and then it was time to keep rolling. This ride down was very much utilitarian. I hopped on the bike and kept riding until I got there. About 180 miles of all, which is a bit of a stretch for me. I think it was the first time I’ve ridden the tank from full to empty in one sitting. Once I got there, I took a quick shower, and it was time to go back out on the town. We went to Mothers Tavern, also known as Mo-Tav, for dinner and beers. The food, much like last time, was very good. At about 10 PM, the place turns into a dance bar. Surprisingly for a college town, the crowd was very mixed. We had fun dancing with the crowd and enjoyed the evening. The group from SBR was leaving Paso Robles at 8 AM. Since I didn’t get to bed until a least 1 am with a few beers in me, 8 AM was not happening. We got breakfast at A Touch of Paso. I’d not reccomend it. Seating D+ The restaurant was in a converted house so hallways were narrow and seating was tight. Atmosphere C It’s rustic and worn, but adds some charm to the place. Food D- I had a ham and cheese omelet. The cheese was some type of Velveeta. Not even basic cheddar. While functional, it didn’t seem like things were made with “pride”. Value D The prices were comparable to market, but food quality was lower, thus the lower than market grade. So, a leisurely morning, a decent breakfast, and some down time I was on the road late. 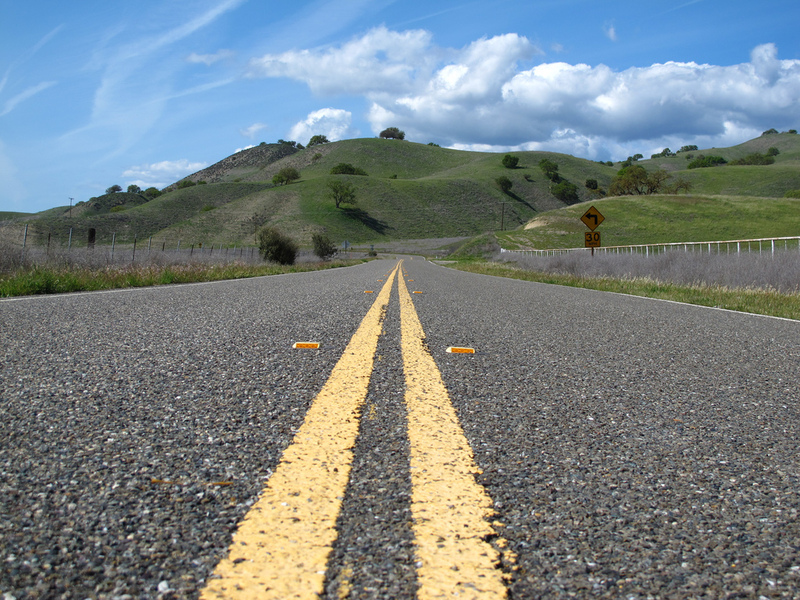 A friend of mine recommended Chimney Rock Road out of Paso Robles. It was an out and back ride on supposedly great pavement. The pavement is pretty good, but in my opinion it’s nothing to write home about. The ride literally runs to a dead-end. 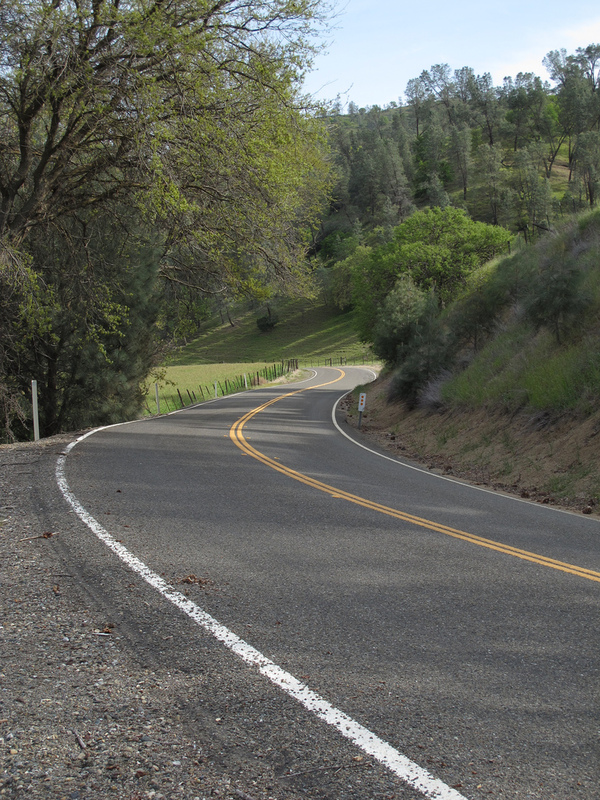 There are plenty of other roads in California that are that scenic and go somewhere. 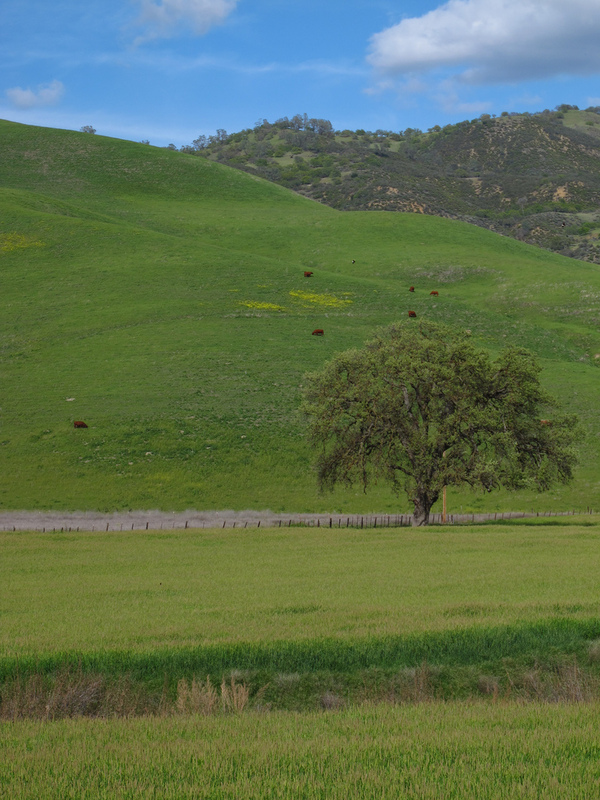 Heading north on Interlake Road (one of my favorites in the region) you crest and have the view of both Lake San Antonio and Lake Nacimiento (pictured). 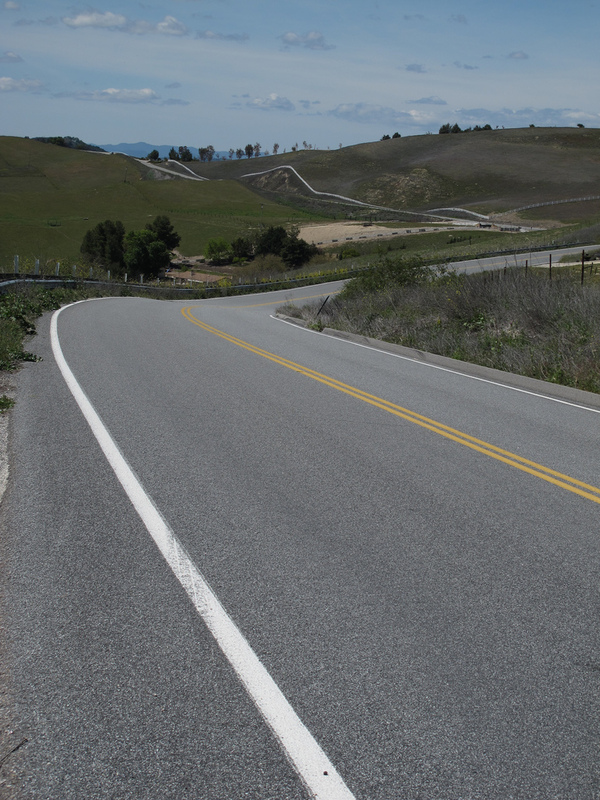 The road is well paved, very honest, and the turns can be taken at a good clip. It’s good and twisty though! Interlake Road ends in Lockwood which is a very, very small town. It’s one of those where you blink and you’re through it. There is a small winery here. I wanted to get some wine at when I was down here Labor Day but didn’t have any room in my bags. The shop keeper is awesome. He’s got a very quick whit and knows a lot about wine. It was great to learn a few things along the ride. I met two riders from Paso Robles at the Lockwood store. As usual we started talking about bikes roads and what each others plans were. They recommended I take Lockwood Jolon Road over to 101. My plan was to take Jolon road to 101 and then Bitterwater to 25. With this new found knowledge I could jet over to 101 pick up 198 and then 25. Lockwood Jolon Road was a little mix of everything: fast sweepers, a bit of technical, and generally a nice way to get to the freeway. 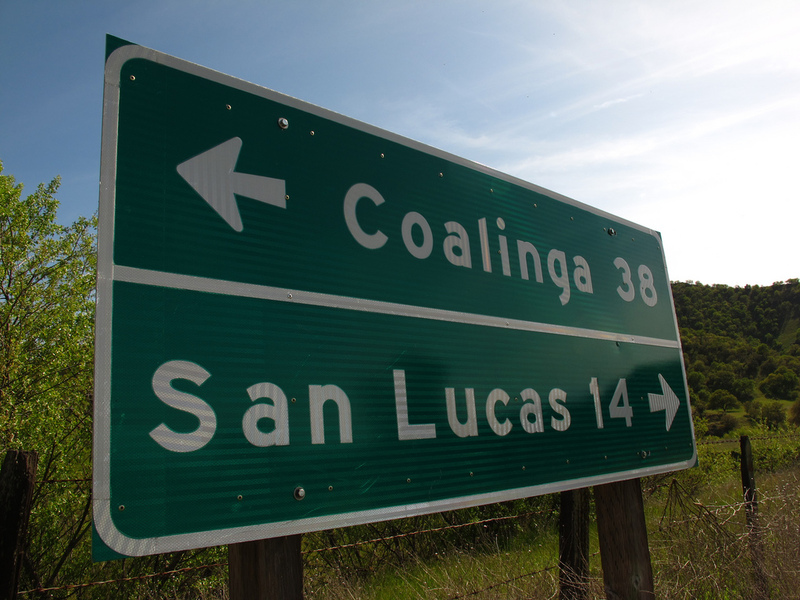 I’ve often taken 198 east of 25 into Coalinga. That’s a well-known and well loved stretch. 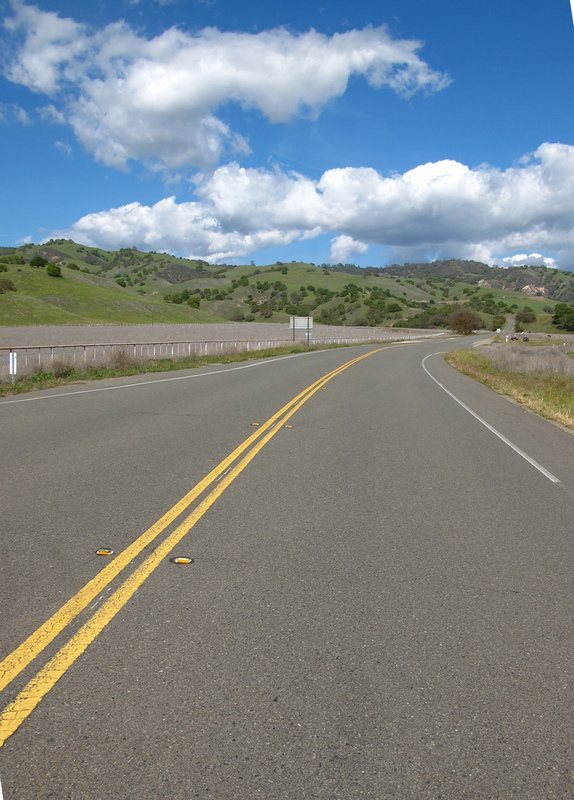 This is the start of Highway 198 east from the end of Highway 25. 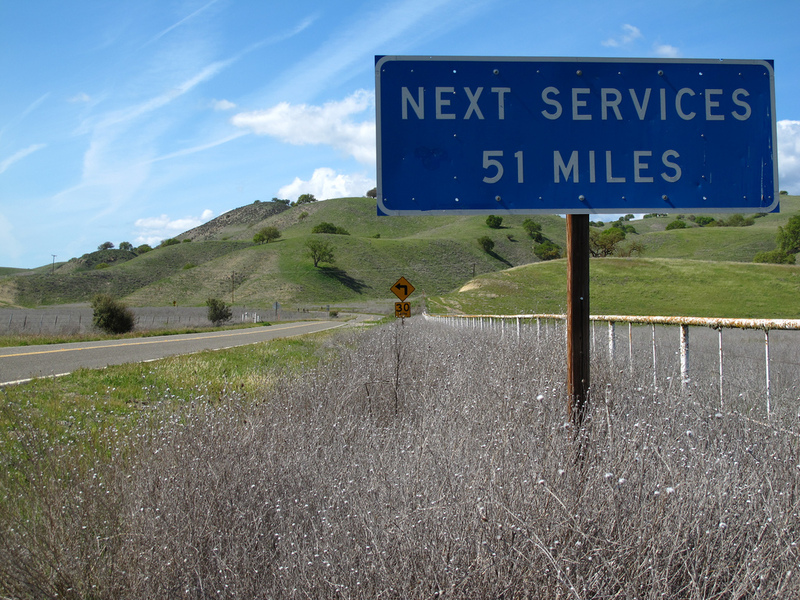 The section from highway 25 west to US 101, is a little less well-known. The road is not as technical but very much enjoyable. I stopped at the intersection of 25 and 198 to take a few photos. I had plenty of time in the day to burn as I did need to be in San Jose until about 6:30. That’s good as 25 is a long, lonely highway. Riding north on 25 you could see a lot of green in the hills. And green along the road. We’ve had a good week of rain which green things up quite a bit. I came upon this very cool looking farmhouse and decided to stop and take a few pictures. The red was in very much nice con trashed to the green around it. 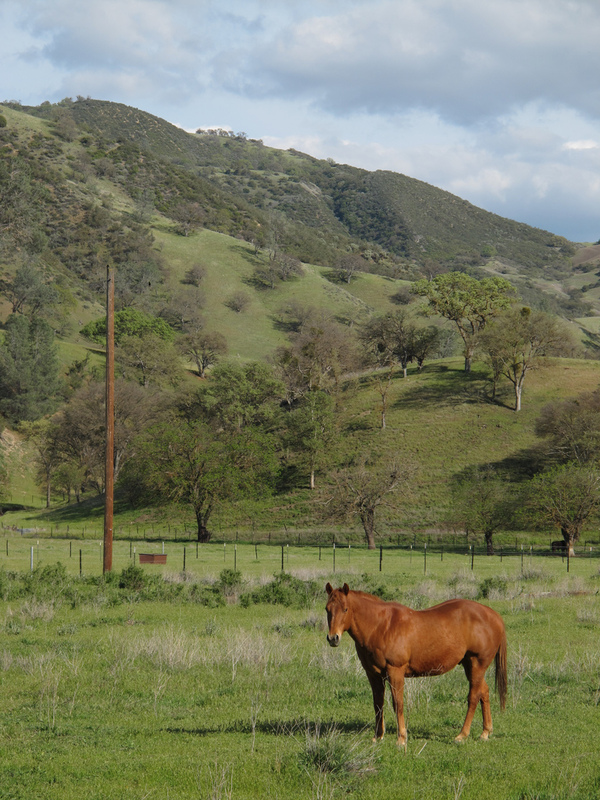 There was one horse that seemed to show a bit of interest in my tenure along the side of the road. His eyes never left me. Guess the yellow power ranger outfit didn’t help. 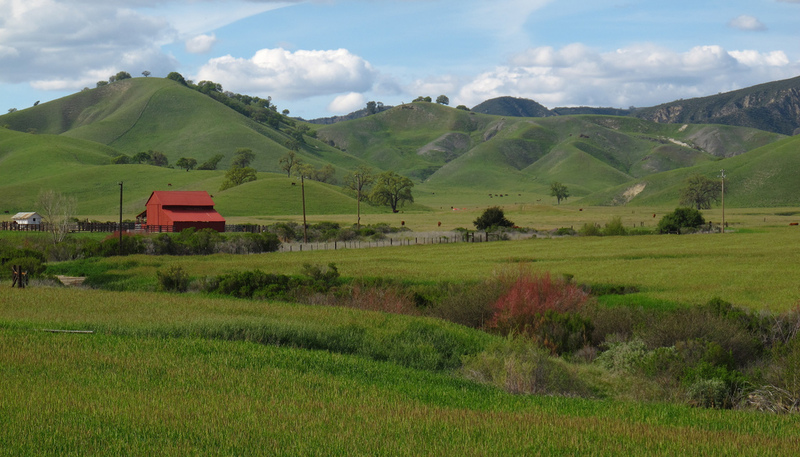 Highway 25 rolled north into Hollister and then on to 101. It’s a pretty mellow ride up the freeway and back home. Pass Robles is becoming a great weekend trip. There’s plenty of good ways to get from here to there and it’s about the right distance away for an easy over-nighter.